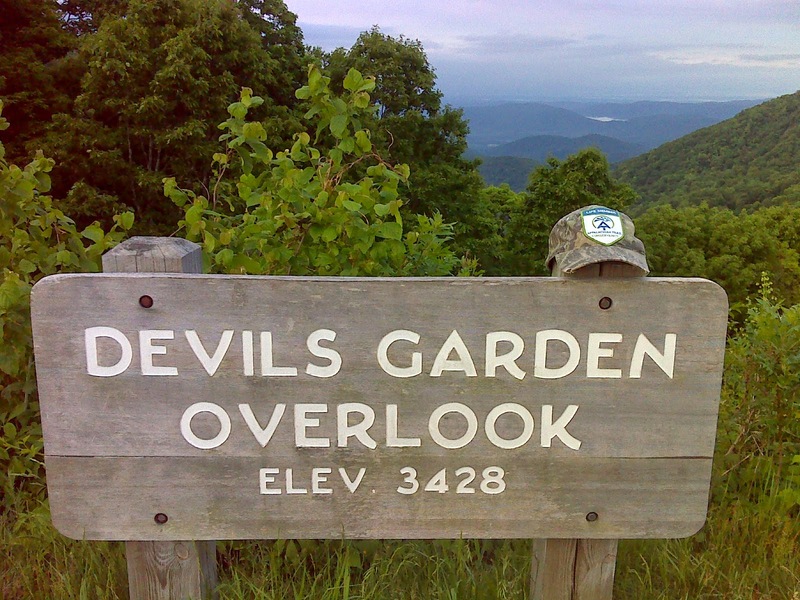 It was a cool cloudy day, and my task for the day, as a westbound thru-hiker of the Mountains-To-Sea Trail was to make the transition from the flat lands to the Blue Ridge for some real, sustained mountain hiking. 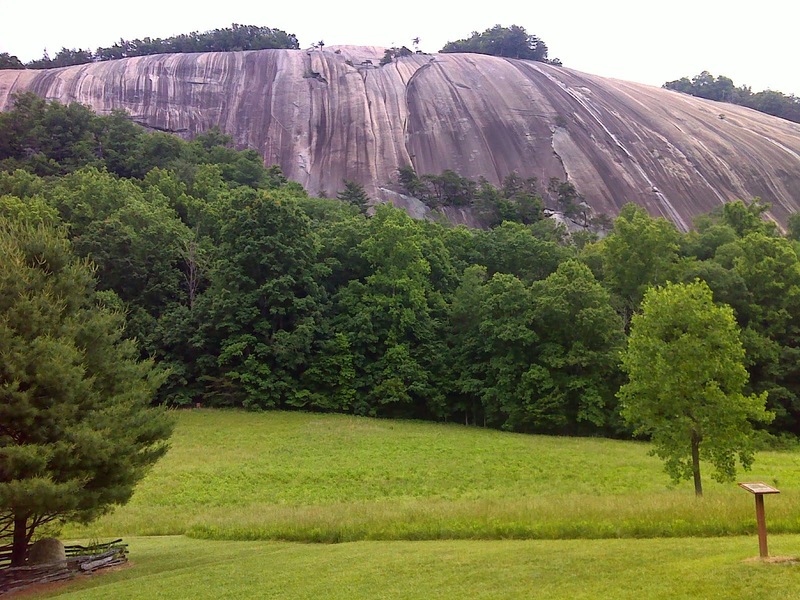 The venue that the MST chooses to do this took me past some memorable natural landmarks in Stone Mountain State Park, headlined by the iconic Stone Mountain itself, shown above. This is no gradual transition. In five miles the MST climbs 2000 feet. That steep section of trail doesn't have a lot to show, so I have no photos. It's grueling but not rugged. It's relentless but not punishing. It's eroded. Many of the water bars have failed - a situation that seems universal on trail everywhere--it's hard for maintainers to keep up. For the westbound hiker it's a sudden initiation that may come as a shock after 800 miles of almost no vertical element to the trail. The interesting stuff came at either end. 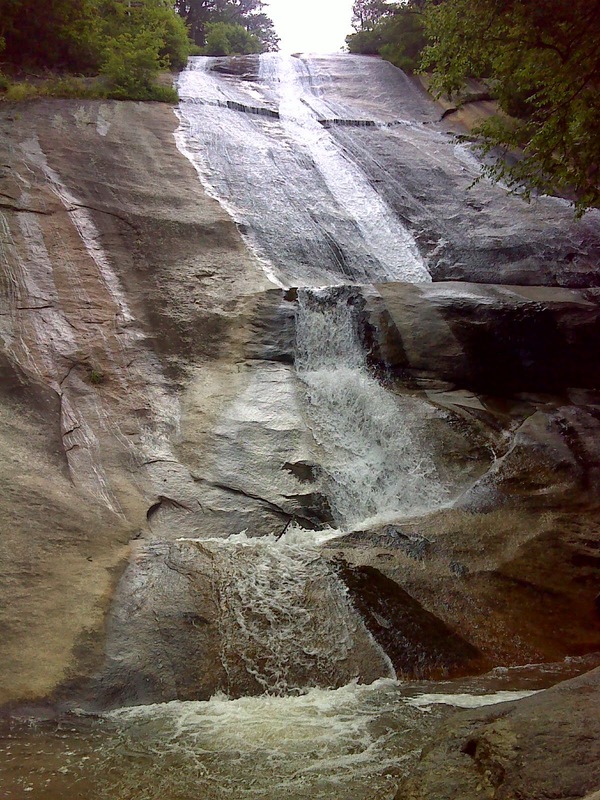 Stone Mountain Park has not only a smooth granite dome but also a 200 foot vertical waterfall that slides down over the same kind of solid granite that makes up the mountain. 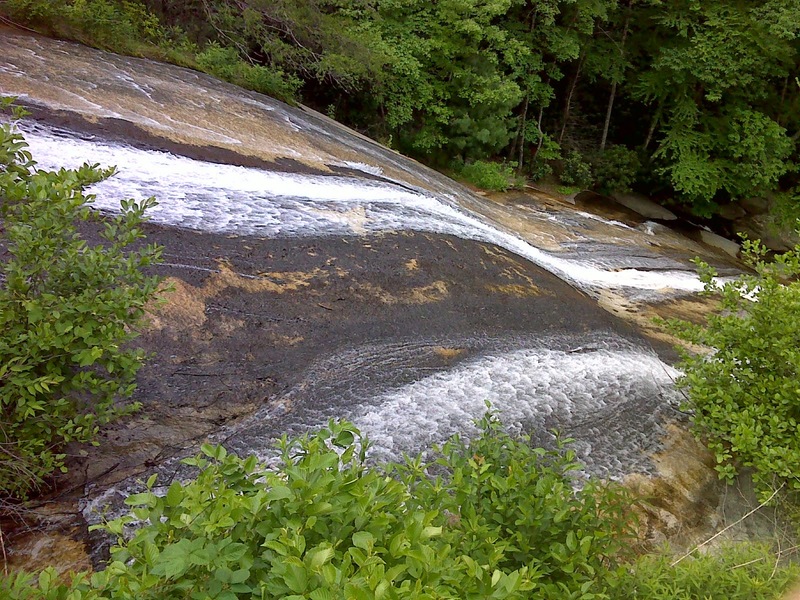 Here are views from below and above the fall. Hat number Nine, as with many of the hats in my rotation, was a trail find. This one I found on the Appalachian Trail in Pennsylvania, a few miles south of Ashfield Road. It's a standard Mossy Oak brand camo hunter's hat, but after finding it I made it my own by sewing on the patch - my AT Conservancy life member patch. 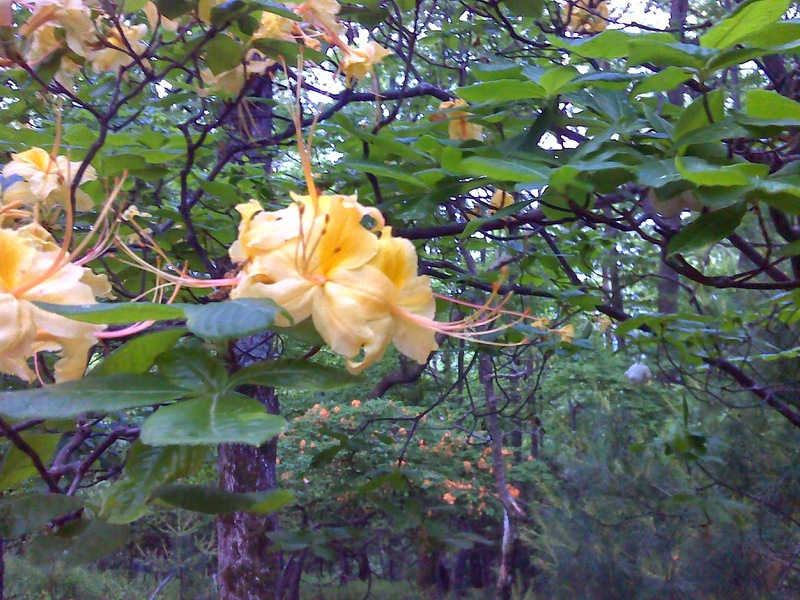 In the high elevations along the Blue Ridge the late spring flowers were resplendent. 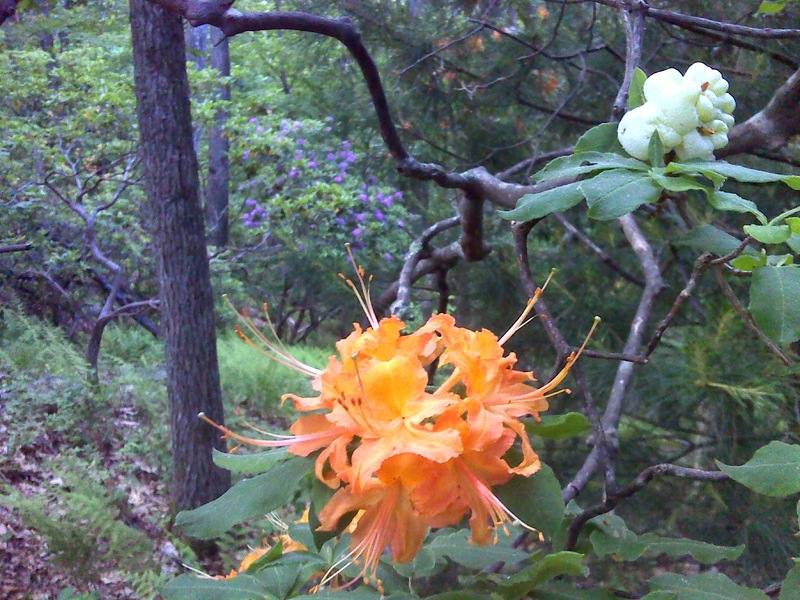 I encountered the first flame azaleas of my hike, in their yellow and orange variations. Note the pink rhododendrons in the background of the latter photo above. The rhodos were waning, and in places the trail was strewn with their freshly fallen flowers. 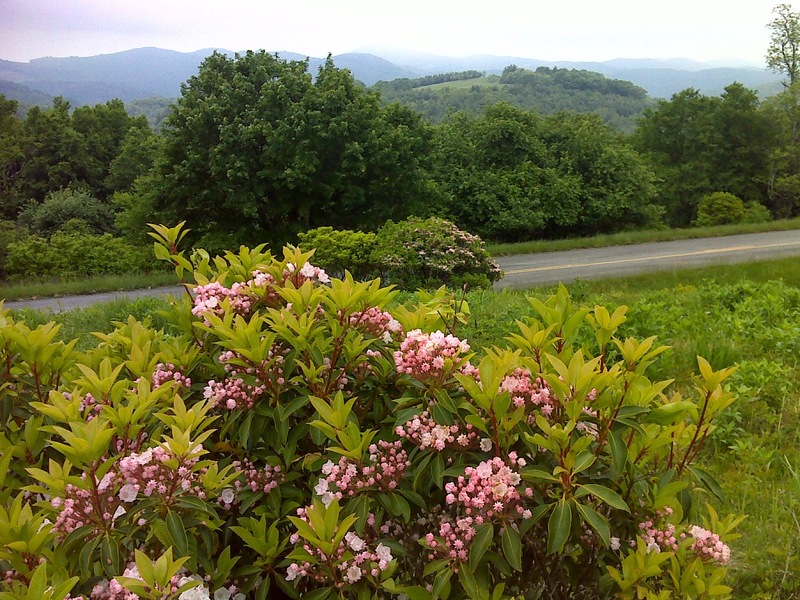 On the other hand, the mountain laurel was just coming into flower in some of the high meadows. Here's one on the pink end of this species' pink-to-white range. 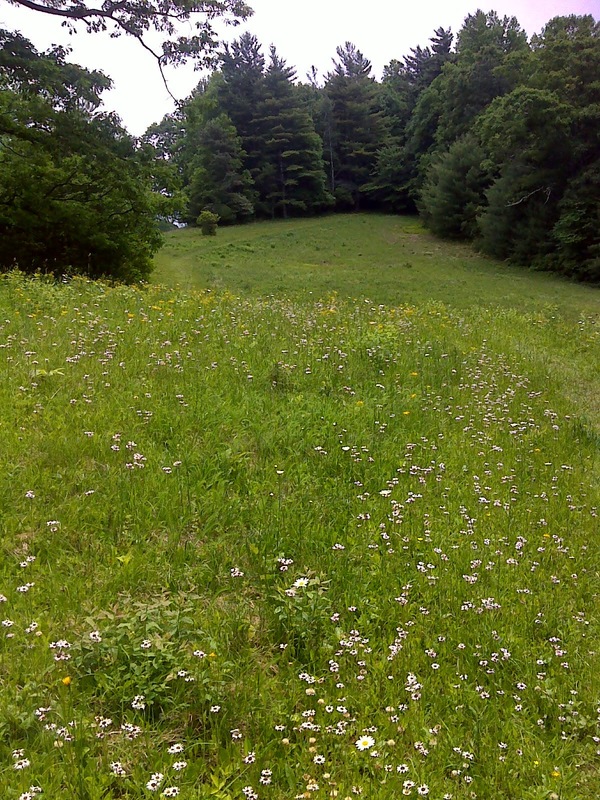 And the annual and perennial meadow flowers were showing their stuff. I feel as though I've come home. Although I've enjoyed the variety provided by the road walking, and was at times bored with the endless green tunnel of the Appalachian Trail during my 2012 thru-hike, it felt good to be back on mountain trail. 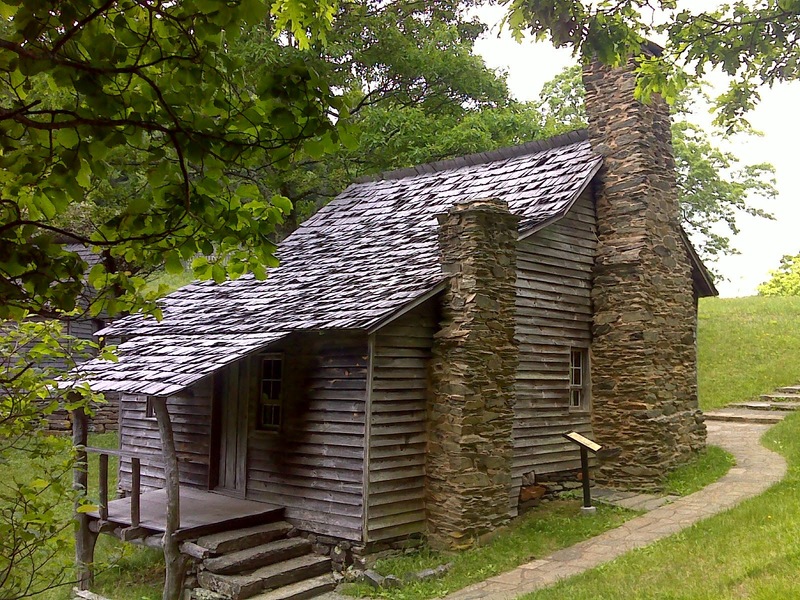 Today's first sampling provided great variety, including some history in the form of the modest Brinegar Cabin, a more-or-less typical self-sufficient homestead from two centuries ago. So it is with eager anticipation that I march into the coming days, looking forward to sampling more of what the partnership between the Blue Ridge Parkway and the MST has to offer. Here's a map of today's route. If you click on the title line, you'll be taken to a slide show and can also view the rather extreme elevation profile as I encountered it.